Home Tags Posts tagged with "librarian"
When you think about leaders on your campus and in your district, who comes to mind? Most of us probably think of the people in particular roles that are found on every campus and in every district. There are superintendents and a variety of C-choose your letter-O roles. Principals are also an easy group to call out. Let’s call those the Capital-L Leaders. But what about the lowercase-l leaders? These are the boots-on-the-ground people who are in our buildings and working directly with students every day. Are you one of those? If you’re taking time to read this, I bet you are. Jimmy Casas talks about awesomizers and awfulizers in his book Culturize (2017, Dave Burgess Consulting). You don’t need definitions of those terms to know what Casas is talking about. You are probably already picturing people in your building who fall into those categories. The real question is, on a regular basis, which one are you? What do leaders look like? Leaders set the tone. They demonstrate attitudes and characteristics that they want others to follow. Do they encourage positive attitudes and risk-taking? Are they problem solvers and innovative? Do they ask questions, listen to answers, and provide constructive feedback? Leaders continue to learn and encourage others to do the same. They cultivate networks where sharing takes place. How can librarians step up their game as leaders? Become an ambassador or get certified. Apple, Google, Flipgrid, Buncee, Symbaloo, and Common Sense Media are just a few of the platforms that allow educators to earn certifications or become ambassadors for their products. And don’t forget about the TCEA certifications available, from Chromebook and iPad to ISTE Educator Standards to several leadership programs. Be a resource. Whether it’s a new tech tool or a new application or feature of an old one, stay current with technology and look for products and tips you can share with your faculty. Be a collaborator. Sometimes it requires being the first to extend a hand. Reach out to others and talk about how you can work together. Emphasize combining strengths, not making up for deficiencies. Be willing to take the first step, but don’t be disheartened if you are turned down initially; try again another time. Be a teacher. Librarians in Texas are, first and foremost, teachers. Whether you are teaching students or teachers – ideally both – put your skills to use. Engage and deliver relevant and timely instruction. Be a student. Learn something new. Keep reading. Easy, right? And many of us are starting an amazing week of learning at the TCEA 2019 Convention. What better place to be a learner? Find your niche. What can you do that others can’t? Maybe it’s finding and applying for grants. Maybe it’s creating community partnerships. There are so many possibilities. Become the person that the rest of the campus can’t imagine losing. Be a researcher. Librarians come by this naturally. And what is a researcher if not a problem-solver? Find answers to questions. If you have a question that is specific to your environment and no answer exists, conduct the research. Action research and evidence-based practice land squarely in our court. Look ahead. We don’t all have to be visionaries, but it’s hard to lead when you’re running behind. Prep instructional units and reading or other promotions in advance. Plan ahead. It’s easier to make changes than to create from scratch at the last minute. Then keep your lessons, notes, and ideas readily available for next year. You’ll know what worked, what needed improvement, and you’ll be ahead of the game, freeing time for other pressing issues. It doesn’t matter what your role is, someone else is looking up to you. Whether you’re a Capital-L Leader or a lowercase-l leader, you make a difference. You can be a teacher, a librarian, or an administrator. You can be a new teacher, in mid-career, or have 20+ years behind you. Wherever you are, it’s time to step up and lead. Your students and your profession need you. This is a guest blog by Kristi Starr as part of a monthly series of blogs from LIB-SIG. Kristi is the library media specialist and co-campus technology leader at Coronado High School in Lubbock ISD and the President of LIB-SIG. Let’s face it. The days are getting shorter but feeling longer. Everyone is in need of a break. The excitement of the new year is a distant memory. And sometimes it just seems like we’re going through the motions. But this time of year is also the perfect time to focus on thanking and giving. What can you do to give yourself and others a lift? Here are a few suggestions. Librarians see students of all ages and for multiple topics on a daily basis. And librarians know all faculty and staff members on their campuses. Libraries are a hub. Frequently, they’re the heart of a school. What better place to make someone’s day? Share a smile or a kind word. Or make a kind word to go and spread kindness all day long with sticky notes. Check out this encouragement board in the Lubbock High School library. Don’t want to write all those notes by hand? Tony Vincent shares how to create your own custom sticky notes in his April 2017 post. Unlike many of our peers’ PLCs (professional learning communities), librarians often rely on digital forums for idea swaps. Just because you found a great tool or idea, don’t assume that everyone is in the know or saw the same message. Tweet, retweet, blog about, or include great new (or new-to-you) finds. Is it a book you’re super excited about? An amazing app? A cool website? A can’t-live-without-it extension? A brilliant tech tip? Someone out there is going to be just as thrilled as you. Be the one to share via tweet, email, or newsletter. Regardless of your sharing method of choice, just do it. Everyone is busy this time of year, so now isn’t the time for “one more thing.” Rather, it’s a good time to share hacks and tips to save time or simplify everyday tasks. Offer suggestions that can be quickly and easily implemented and that can make a big difference. For example, instead of a wordy email or a screencast, try the iorad Chrome extension. It’s an easy-to-use tool that creates tutorials. Sharing it is likely to earn you some friends. One of the best opportunities at the TCEA Convention is the chance to serve as a super volunteer. Volunteer for two 4.5-hour shifts, and you earn free registration! It takes a lot of help to make things run smoothly, and we can’t do it without volunteers. Even better, you get to choose which presentations or workshops you facilitate! Learn, earn CPE credit, and enjoy the convention at no charge! Pay attention to those conjunctions and, but, or. What can you add to conversations? When someone comes to you with a question or need, don’t shut them down with a one-word response.Go the extra mile with a “Yes, and…” or a “No, but…” Librarians are magnets when it comes to “other duties as assigned.” Take charge by redirecting or expanding conversations. You’ll find new allies. A heartfelt “thank you” can go a long way. When that student comes back to tell you all about the book they just read, thank him for sharing that with you. When your principal invites you to a meeting, thank her for including you. When a colleague shows you the lesson he just created, asks you to proofread the yearbook page, or comes to you for help with Google Classroom or an iPad, let him know you appreciate being considered the expert. Demonstrating gratitude reminds us that we really do have the best job in the building. There will always be more supplies to order, lessons to plan, meetings to attend, classes to teach, and blogs/feeds/sites to update. Give yourself downtime. Read, rest, exercise, create, or do whatever you need to recharge. Slow down, grab a warm drink, and refresh. When you take care of yourself, you can take better care of others. And face it – that’s why we do what we do. This is a guest blog by Kristi Starr. Kristi is the library media specialist and co-campus technology leader at Coronado High School in Lubbock ISD and the President of LIB-SIG. This blog is part of a monthly series of blogs from LIB-SIG. There are no two days alike when you are a teacher-librarian. You don’t have the same kids every day. You don’t have the same teachers every day. And you don’t have the same schedule every day. To maximize your impact on student achievement, it is crucial to have a plan to manage programs, lessons, and promotion. Whether you are a veteran educator or just starting out, consider how you can utilize calendars to maximize efficiency and communication in your library or classroom. Being organized makes sure things don’t fall through the cracks and keeps everyone on the same page. Using Google Calendar ensures that critical information is easily shareable across your campus. Here are four different calendars I use. Calendar 1: Programming. This calendar includes reading promotions, book fairs, monthly themes, and displays. These items don’t have to take up time on your schedule, but they need to be visible to show balance in what you are offering your campus or grade levels. Calendar 2: Instruction/Lessons. This calendar includes the topics you want to make sure to cover like internet safety, research, and information literacy. These lessons can take place in the library or in classrooms. Calendar 3: Collection Development. This calendar includes the things that keep your library functioning. This entails the analyzing, weeding, reading reviews, ordering, and processing. Calendar 4: Classes. This calendar includes regularly-scheduled visits and one-time events. This will help you keep track, in part, of the number of visitors each day. If you aren’t on a fixed schedule, you and your teachers might need a little help getting into a groove, especially if they visit only every two or three weeks. Schedule repeating events, make any adjustments to accommodate changes (testing dates, holidays, personal schedules), and then add guests and share. This way, everyone ends up on the same page with no surprises! We work in a data-driven profession. How are you documenting your activities? Calendars provide a great point of reference. At the end of six weeks, a semester, or even a full year, you can easily print your calendar and talk with your evaluating administrator about your impact on the campus. This also helps you see how you are spending your time and address any modifications that need to be made to support campus goals. Of course, you can extend invitations, but Google Calendar also allows you to set up conferencing via Hangouts. Add a guest to your calendar, select Conferencing, and you can add a Hangout with that individual or group. Once you’ve set it, don’t forget to add a reminder. Reminders can be set minutes, hours, or days in advance, and they can be sent through pop-up notifications, email, or SMS. And if you’re a regular webinar attendee (think TCEA Lunch and Learn, including the exclusive LIB-SIG webinars), you can paste and link the URL in the description box. When you get the webinar reminder, head to your calendar, click on the link, and you’re there! Create tasks and set reminders that you can check off or mark as done when complete. In Google Calendar, when you invite a guest, you can opt to FIND A TIME and your guest’s or guests’ calendars will display. Select a time that is open for each party and send the invitation. Do you need to set appointments with teachers or parents and want to allow them to sign up? Let them select their time by creating appointment slots. Share the link and allow others to do the work. There are all kinds of calendar options. If Google Calendar isn’t a great fit, choose the one that works best for you. That might mean a paper calendar, Outlook, or Google. To recap the latest changes to Google Calendar, check out this video tutorial. This is a guest blog by Brandi Rosales and Kristi Starr. Brandi is a library systems administrator in Richardson ISD and the Secretary/Treasurer of LIB-SIG. Kristi is the library media specialist and co-campus technology leader at Coronado High School in Lubbock ISD and the President of LIB-SIG. This blog is part of a monthly series of blogs from LIB-SIG. Time is running out to nominate an exemplary educator you know (or yourself!) for a 2018 Educator Award. Educators don’t often get celebrated for all their hard work, which is why we like to bestow these awards on those who are doing an incredible job integrating technology in their schools. I had a chance to chat with one of our 2017 Educator Award winners to learn a little bit about her work and how winning the Library Media Specialist of the Year award impacted her. Suzanne Ross is a Library/Media Technology Specialist in Keller ISD. Those who know her best say that she “exemplifies the Future Ready librarian.” Read on to learn more about Suzanne, how the award has impacted her, and what she’s working on now. What work have you done with TCEA in the past? What was the nomination/award process like for you as a whole? I was honored, humbled…thinking I am just doing my job. It was a unique experience. The nomination process was easy since Diana Colby (who nominated me) did all the work and just mentioned in passing that she nominated me for a TCEA award. As for the award process, it was a big honor and I realized that all who were nominated had one thing in common: we are lifelong learners and risk takers. How has winning the Library Media Specialist of the Year impacted you? Being named the Library Media Specialist of the Year has made me more aware of the importance of sharing and supporting others to embrace and integrate new knowledge and devices into our learning spaces, which are within and beyond our four walls. What exciting projects are you working on now? Basically, I chase (work on) many tech “squirrels” at once. I am always exploring how to better use the technology I currently have, as well as looking for new technology to integrate into my school community, which includes my staff, students, and parents. Currently, I am still expanding our iCentre (makerspace) and transforming our library space more into a learning commons area. Recently, Diana Colby and I collaborated on creating a Hyperdoc summer reading program for our students, along with three presentations (Google/Chrome “Tools I wish I knew about!”, Google Expeditions “Connecting Virtual Reality to Curriculum,” and “Diving Deeper into Chromebooks”) for summer PD sessions. We are also developing a program to teach design thinking using puppets this fall, as well as making improvements to our STEM Boxes to Go program. I have a lot of “squirrels”(things I am working on), but my philosophy is my library will always be in “beta” mode…always transforming! Do you know our next Library Media Specialist of the Year? There’s still time to nominate someone you know for a 2018 Educator Award. Nominations are open from now until October 27. Winners are honored at a reception at the TCEA convention and also receive $1,000. For more information on how to honor a deserving educator you know, go here. In an age when even many adults find it hard to tell fact from fiction, the San Jose State University School of Information is offering a free virtual conference on the topic of digital literacy and fake news. The three-hour web conference consists of an opening and closing keynote session and crowd-sourced presentations on the topic. How should library and information professionals address the issues of fake news, propaganda, and biased research? What technical skills are required for critical thinking in the digital age? As learners increasingly move from just consuming information to also socially producing it, what are the new requisite skills of critical thinking and decision-making? What are appropriate uses for social media when conducting research? What is digital citizenship in a global, globally-diverse, and often globally-fragmented world? What work on digital literacy is available, what frameworks already support these efforts, what are the perspectives of the leading thinkers? The keynote panel, moderated by futurist Bryan Alexander, will discuss the foundational relationship of libraries and librarians to media, information, and digital literacy. Panelists will dig into the role of libraries and librarians in addressing fake news, propaganda, and biased research. Social media for information gathering, the requisite skills for critical thinking and decision making, and digital citizenship in our globally diverse world will also be covered in this tantalizing conversation. Registration for this engaging event on June 1 from 12:00 to 3:00 p.m. PDT is completely free. And all registrants will receive links to the recorded sessions. This means that, even if you can’t attend the live sessions, you should register and then have access to all of the content whenever you have time for it, making it perfect for summer learning! Libraries and the innovative and imaginative librarians who run them are an invaluable part of their schools. They introduce students to a world of wisdom. They enable students to access and understand an incredible wealth of digital and traditional resources. Ultimately, they empower students to become shrewd researchers and knowledge-driven digital citizens. April is School Library Month, a celebration created by the American Association of School Librarians to promote and appreciate school librarians and the impact they have on students. TCEA is proud to support our librarian members with resources and professional development opportunities all year long. In honor of School Library Month, we wanted to share a little of what makes libraries and librarians so critical to schools. In the nonstop tsunami of global information, librarians provide us with floaties and teach us to swim. We all know that libraries develop strong readers and writers. But as any librarian will tell you, it’s important to back up your statements with sources. A 2013 study by the Pennsylvania School Librarians Association (PSLA) looked into what school libraries contribute to student achievement and the development of 21st century learning skills. What they found wasn’t too surprising. Reading and writing scores are consistently better for students who have a full-time certified librarian at their school over those who don’t. The study also found that these benefits were even greater among minority students, economically disadvantaged students, and students with disabilities. This suggests that libraries might be one key to closing achievement gaps. This data isn’t unique to Pennsylvania, of course. In fact, 21 state studies all confirm that the presence of certified librarians in schools leads to a measurable difference in student achievement. School libraries pave the way for student success, not only in the PreK-12 environment, but in the rest of their lives. Librarians provide essential skills for college and job readiness. These skills include information retrieval and evaluation, as well as the ability to communicate data. These core competencies will come in handy in most university programs and careers. Additionally, students with effective library programs have higher graduation rates. This is particularly true in schools with vulnerable student populations. The digital divide that might stand in the way of students reaching their goals is bridged by access to libraries. School libraries can support digital literacy by providing access to technology and technological instruction. School librarians are also able to provide the space and personalized guidance to play an integral role in helping students achieve the skills they need for future success. Google can bring you back 100,000 answers, a librarian can bring you back the right one. School libraries don’t just support student populations. They help support teachers, too. They can supply educators with new resources and tools they might not be aware of or otherwise have access to. School librarians also collaborate with classroom teachers to integrate literature and information literacy into the curriculum. By helping students develop a love of reading and a strong command of print and electronic resources, librarians provide teachers with students ready to dive into the curriculum and produce well-researched assignments. As an example, research shows that students are more effective at learning to read when provided with rotating selections of leveled readers that allow for student selection. While every classroom might not be able to support a rotating selection of leveled readers, a library can. And a librarian can help students find books that may spark their interest. If you’re lucky enough to know a librarian, don’t forget to tell them what an awesome job they’re doing–not just this month–but all year long. And if you are a librarian yourself, rest assured that your impact is felt greatly, as you shape the next generation of information-savvy citizens. TCEA currently offers several distinct certification programs to assist educators in becoming more proficient in specific areas. Three specific certifications (Campus Technologist, 21st Century Administrator, and Technology/IT Director) consist of required coursework, a final project, and a portfolio. Coursework within these certifications takes place via a combination of live webinars, online courses, and/or face-to-face trainings. While each certification begins in September, anyone can join at any time during the year and jump in with the coursework and catch any missed courses when they are repeated or the following fall. Our newest certifications (Chromebook Level 1 and iPad Level 1) consist of self-paced coursework culminating in a final lesson plan submitted to demonstrate integration of information learned. Below is the list of people who have completed their certification during the Spring of 2016. They did an amazing job and should be congratulated on their success! More information about certifications that TCEA offers can be found here. If you have questions about any of the certifications, you can always contact Dr. Bruce Ellis at [email protected] or by calling 512.450.5396. TCEA would like to congratulate the following amazing educators who have completed a certification with us during the fall of 2015. These individuals have put in many long hours honing their craft, networking with peers, and preparing a portfolio showcasing their new skills and tools. Campus Technology Specialist Certification – This certification is designed for campus educators wanting to develop and demonstrate abilities to integrate technology effectively and build capacity at the local campus level. This certification is designed for teachers, librarians, and technology specialists. Earning this important certification is Faylynn McMahon of Comal ISD. Technology/IT Director Certification – This certification is designed for educators who wish to become (or already are) district-level technology or IT directors by developing skills to lead staff and students in the effective visioning, implementation, and use of educational technology. Graduating with this certification is Justin Krause of Right Step. TCEA currently offers these and other certifications to assist educators in becoming more proficient in specific areas. Each certification consists of required coursework, a final project, and a portfolio. Coursework takes place via a combination of live webinars, face-to-face trainings, and/or online courses. While each certification begins in September, anyone can join at any time during the year to get the process rolling and start their coursework and catch any missed courses when they are next repeated or the following fall. More information about the certifications that TCEA offers can be found here. If you have questions about any of the certifications, you can always contact Dr. Bruce Ellis at [email protected] or by calling 512.450.5396. The dates are set for the Library 2.015 Worldwide Virtual Conference. The fifth annual global conversation about the future of libraries is scheduled for Tuesday, October 20 from 9:00 a.m. to 10:00 p.m. The conference will be held entirely online and is free to attend. Everyone is invited to participate in this open forum designed to foster collaboration and knowledge sharing among information professionals worldwide. 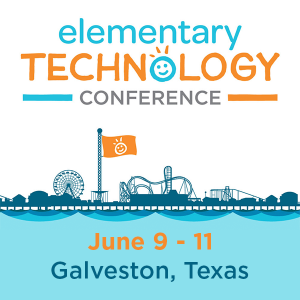 Keynote speakers this year include Toby Greenwalt, Director of Digital Strategy and Technology Implementation, Carnegie Library of Pittsburgh and Sandra Hirsh, Professor and Director of the School of Information, San José State University. You may view the complete schedule of presenters here. The sessions are being held in Blackboard Collaborate (formerly Elluminate), and can be accessed live from any personal computer and most mobile devices. See mobile instructions here.